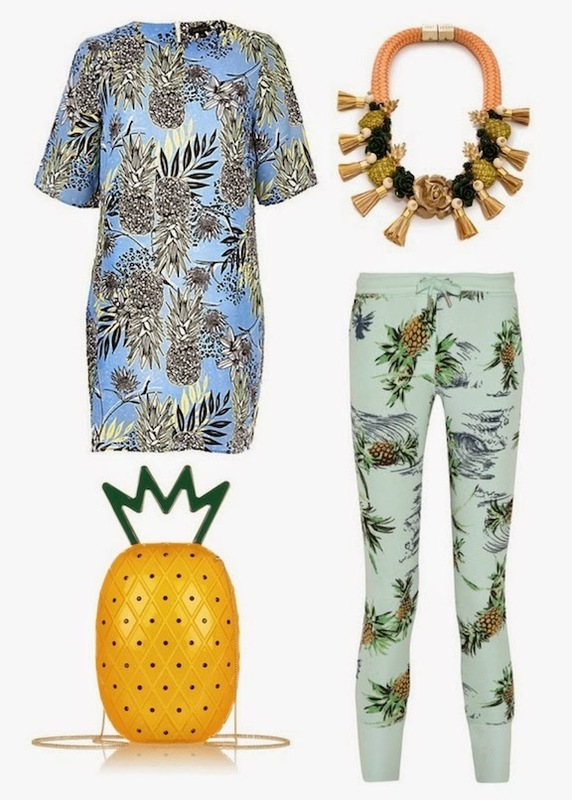 A Bit of Sass: Pattern Play: Gone Pineapples! 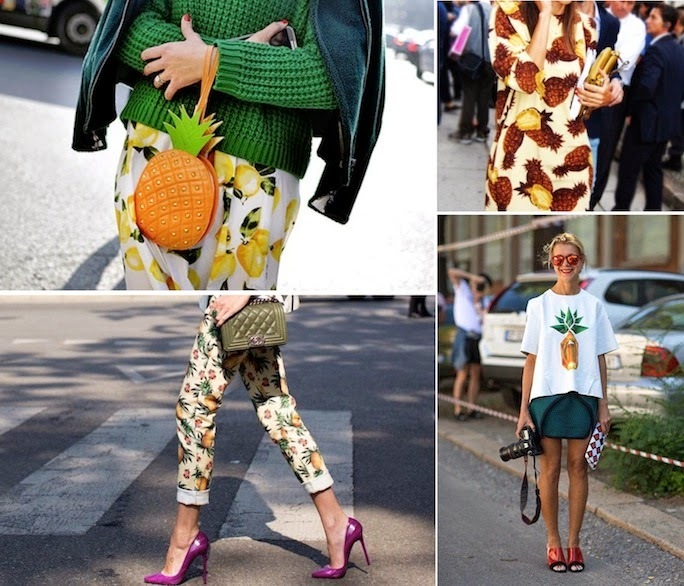 This spring 2014 street style starlets have gone bananas for pineapple prints! Natalie Joos (that's her above, bottom right) has been a big proponent of this trend, and other fearless fashionistas have taken to wearing the tropical fruit on everything from purses to pants. Looks delicious enough to eat. I'll be wearing pineapples soon - or at least eating them. So cute, and summery. I don't know if it is for me, but Natalie looks adorable. Btw following you also on Instagram now. How romantic the beach wedding is, it must be many brides' dream to have a wedding ceremony there. I never thought that pineapple could be used for so many different uses.